The Glencoe Jacket is a fully specified double-layer Ventile® Jacket ideal for a wide range of outdoor activities including field sports, bushcraft and birdwatching. It features an array of pockets including bellow pockets, perfect for storing large items, inside map pocket and chest handwarmer pockets for comfort on chilly days. 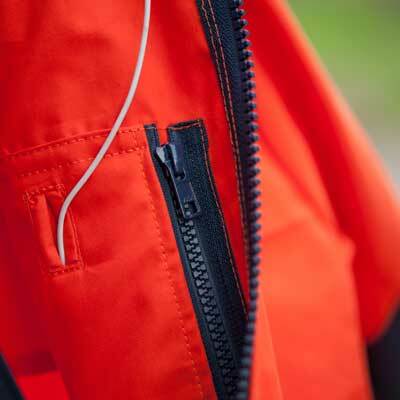 A roll-away hood reduces flapping and smartens the jacket for town use. The sleeves are designed to provide freedom of movement, and the Ventile® material means it is durable and quiet, perfect for field sports, nature watching and photography. This jacket is named after Glencoe, a glen (valley) surrounded by wild and precipitous mountains at the centre of climbing in Scotland and the site of the 1692 Massacre of Glencoe. Find out more in our Glossary. See the Assynt Cotton Analogy® Jacket for a Cotton Analogy® version and the Rannoch DV Jacket for a similar jacket with fewer features. Craftsmanship as always from Hilltrek. Very pleased with the quality. Staff at Hilltrek has been very helpfull in getting the measurements right as well. I had a long wait for this jacket but it was worth it. Borders weather is not great and it has been on every days since I got it. Wind, rain, sleet and snow are shrugged off and it seems totally windproof. Not cheap but there again - you get what you pay for. A good buy. Versatile & roomy. Wired peak hood. A multi-purpose single-layered Ventile® poncho with double-layered hood and shoulders for added protection.